First of all, I want to thank Netgalley and the publisher for providing me with an e-arc of this book in exchange for an honest review. I didn't end up reading the e-arc and purchased the book when it came out because I have trouble reading pdf-files. 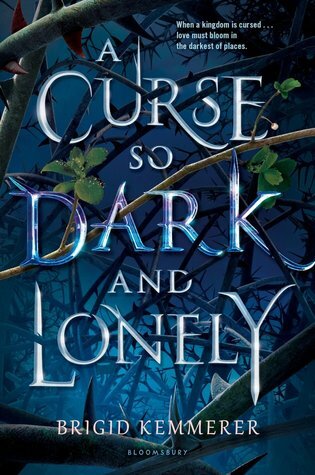 I was in a huge reading slump when I started read A Curse So Dark and Lonely but I couldn't put this book down! I really enjoyed the atmosphere, the characters and I'm always drawn to retellings and Beauty and the Beast ones are my favourite. 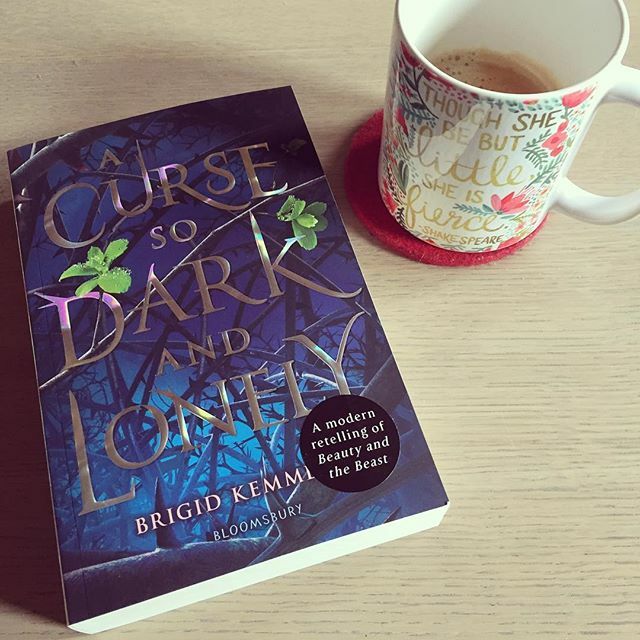 Brigid Kemmerer's writing style is really captivating and got me hooked from the very first chapter. There are two main character Harper and Rhen who get their own point of view. I hope to read more about Grey soon, another interesting character we meet right at the beginning of the story. Harper is a very strong female character and even though her weaknesses are explored it does not diminish her in the least. The magical elements were amazing. I wouldn't mind living in that enchanted castle, I especially liked the kitchen (food just magically appears!) and Harper's room. The book has some surprising and interesting twists and an incredible ending! A Curse So Dark and Lonely is a fun and captivating retelling of Beauty and the Beast and I adored it! So excited to read the sequel! I highly recommend this book and I gave it 5 stars! And that in combination with a spectacular cover! Have you read this book or are you planning to? Leave your thoughts down below! This sounds wonderful!! I'm glad it was a hit for you!